Have you ever met with annoyed look on someone's face when you were reading a book? Have you ever heard the sentence: "Are you reading again?" or "You could tidy up your room and not sit around reading a book.". If not, then lucky you. You probably live in an amazingly perfect world where everybody gets your passion for books and reading. In that case, I envy you. But if you've met with that kind of a reaction before, then you know what I'm talking about. Ordinary people sometimes cannot understand the appeal of reading. 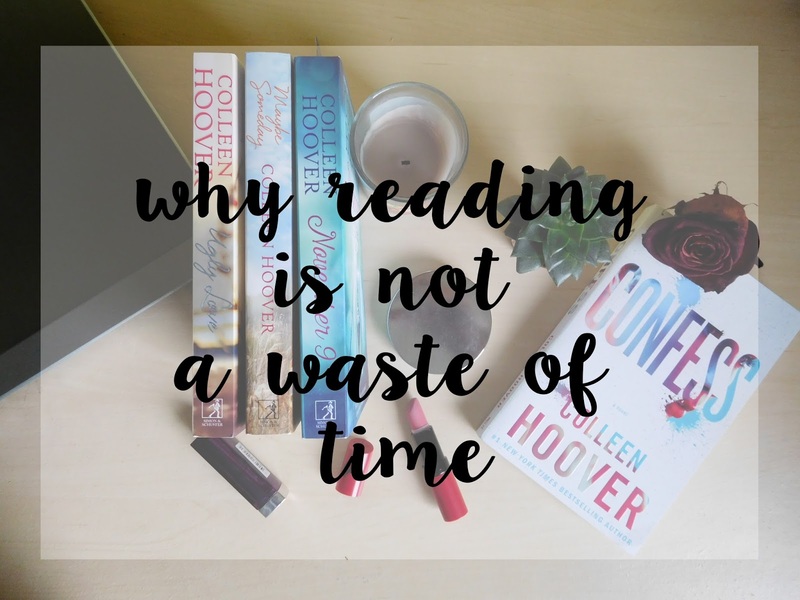 For me, books are an inseparable part of my life and that's why I came up with a list of reasons why reading is not a waste of time. Books are full of information and by reading them you not only get amazing highly-developed story that will take your breath away at the best, but you also extend your vocabulary, improve your spelling and language as such. So if someone tells you you're wasting time reading books, silence them with the fact that you're learning something. No one will be able to beat that. But seriously, by reading books you learn something new about almost every subject whether it's history or geography, so go ahead and open that lovely book you have on your table. Because if you're anything like me, you always have a book near you. And if not... well it's high time to begin with it. Let's say you love travelling but thanks to the situation in the world right now, you don't really feel like it. Pick up some adventure or fantasy book and you'll travell to the lands so far away you can only dream of them. That's what I love about books. They'll take you to different places without you leaving the comfort of your bed. Isn't it amazing? If that's not magic, I don't know what is. Each of us has duties: school, job, kids, personal problems... real life is hard. Books are here to let you escape all those problems, they will free you from the prison of mundane life and offer you an opportunity to be a heroine fighting the dragon. All of your problems are gone because who would think about that nasty test or the horrible boss when he's facing the dragon? Only if you're imagining that the dragon is your boss and you vent your anger on him though the heroine. In that case, go on! Books are also helpful in those moments when you don't feel like talking to anybody and people are bothering you. Ehm, hopefully I'm not alone in this one. Sometimes, characters in books are way more nicer than the annoying classmate who constantly needs help with something. Everybody knows reading is good for the mental health. Imagine someone makes you so angry that you want to strangle him with your bare hands. I hope I'm not alone in this one, too. In that case pick up a book, focus on the story and your mood will only rise. Of course, make sure the book is one that you like because if you don't like one of the characters, it can make you even angier and you'll blow up. Or you'll be killing and nobody wants to end his day with murder. Except psychos. So if you're in a bad mood - pick up a book. If you need to relax - pick up a book. If you have troubles crying - pick up a book. Man I'd be amazing psychiatrist. This may sound cheesy but books can change your life or at least your view on life. Harry Potter changed my life and it showed me that magic really exists even if it is only between pages of book but it also showed me how important friendship, love and courage are . There's so many books that can open your eyes and when you finish them, you feel differently because they left an imprint in your heart. Of course, it's not so good if it's Voldermort who inspires you to take control over the whole world. In that case it's not that great of an impact because no one wants to be the villain. Despite the fact it could be fun. The purpose of this list is to say: "Read!" Even if people will look at you differently. Even if they will call you bookworm. Or layabout. There's nothing to be ashamed of. Books are magical objects which can take you to the most secret places of the world. They have the power to make you a wizard or a superhero. Don't worry whether you read the right literature. You don't have to know all the classics to be intelligent. Read fantasy. Read classics. Fairytales. Detective stories. But most importantly, read, because there's magic hidden in that simple gesture. Now, it's your turn. Do you agree with my list? Would you add anything? Or would you taken out anything? 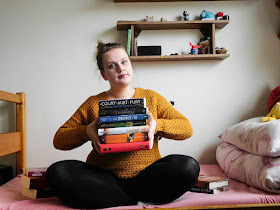 I feel lucky in that my family and friends understand and can totally relate to my book obsession, but I still get odd comments about how much I read. I love reading and this list proves that it's not just a simple enjoyable pass-time but we can all take something from it. I love that books can transport me to somewhere else. Oh for SURE. Reading is a good safe way to experience absolutely anything. Although with my family, it's usually that they accuse me of "selective hearing" when I'm reading lol. I agree 100%! I always experience that annoyed look from my family and how they always complain about me being in the house all the time and not getting enough sunlight and yadda yadda yadda... But books are life, okay?! HOW CAN I LIVE WITHOUT THEM. They are these little wondrous things that bring me to magical schools and thrilling adventures. Definitely worth my (life)time.